New pencils and the whiff of wet grass. Hurrah! I love summer, but despite the long hazy days, I have always felt the arrival of Autumn heralds more new possibilities than the new year. Do you remember the feeling of crisp new school uniform, a new pencil case filled with long, sharp pencils? The smell of wet muddy grass as you started the new school PE term with cross country? All right, maybe not that last one – running was never my forte. But new beginnings smell sweeter in Autumn, after the long hot-box of high summer has passed, but before the long dark icy nights have really taken hold. So the new Pilates term is upon us, and I have spent the summer immersing myself in Mindfulness and meditation practices, and exploring movement. On holidays, I’ve hiked and biked and conquered Scafell – Yay! At home, as well as Pilates, I have been practicing some meditative, restorative yoga too, and currently I am on week two of the NHS Couch to 5k running program (muddy ankles after all – huzzah!) 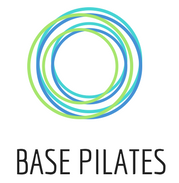 The yoga and Pilates has been interesting – Joseph Pilates himself studied Yoga (alongside zen meditation, and Greek and Roman exercise regimes) so it’s interesting to see how the two complement each other and where they differ. In my Pilates learning I am drawn increasingly towards slower, more mindful, exploratative practitioners as my influences. So classes this term will be encouraging you to feel and experience your own wonderful, amazing body. And then go out there and climb a mountain. Or the stairs. Or off the sofa! It doesn’t matter which – just move. Be alive.